Chhaperia presents the best wall mounted tubular heater elements. The years of practice at the industry have boosted the standards and trusted by most of the industries. It’s a challenging task for any firm to build fame and withstand in the market for a long time. It was possible for Chhaperia, and with its potential products, the company has received positive feedback from all of its clients. 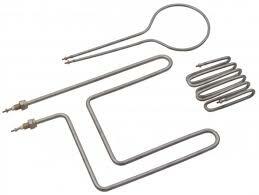 The exact amount required at a specific area can be provided with tubular heaters. Adding heat to cool the product leads to increased production. The lifespan of tubular heaters is more because of perfectly applied watt density. The applications include ovens, drying cabinets, suitable for compression fitting, fluids can be heated at any desired temperature etc. Producing best wall mounted tubular heater elements is continuous at Chhaperia. The R&D team analyzes every aspect of heater elements before and after the manufacturing process.